I was starting to believe that good customer service was dead, and the days of "the customer's always right" were long gone, but recently I had a fabulous customer service experience that revived my faith at least a little. 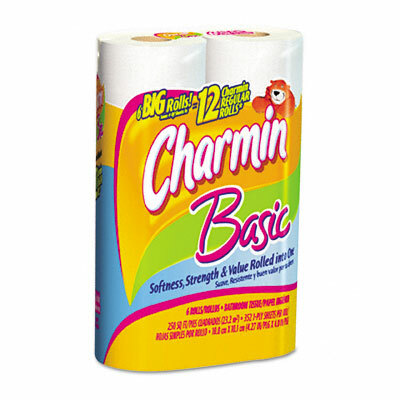 I had been a fan of Charmin toilet tissue paper for years, though it was somewhat expensive for our family's budget. That's why I was so glad when I saw they had introduced their Charmin Basic product, which had the same Charmin quality I was looking for, but with a lower price tag. So, I purchased a package, and was very happy with the product, but the cardboard tubes were made with paper-thin cardboard. The product had obviously been squished, and the tubes were crinkled so badly that they wouldn't roll smoothly. It was a small issue really, but frustrating, so I thought I would email customer service and let them know. I sent off the email, and they responded quickly letting me know that they were sending out replacement coupons. I was very pleased with that, but imagine my surprise when I opened the envelope and found TWELVE free Charmin replacement coupons! That worked out to a year of free toilet tissue. I would have to say that their customer service went above and beyond on that occasion.